The person who made this trailer should be fired. Or maybe, just maybe, this film is actually as bad as it looks. I know, I want it to be good too, I love both Elba & Winslet. But wow, everything I just saw looks terrible, and I can’t imagine watching more of it in the theatre. 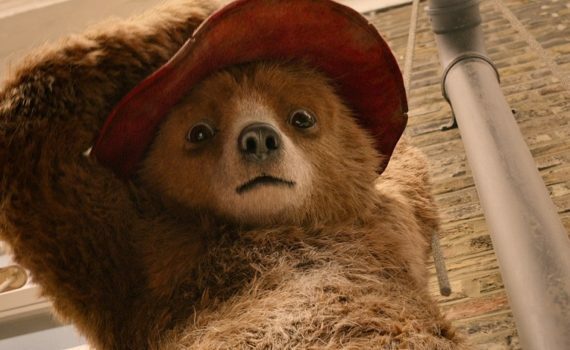 Perhaps my first inclination was correct and someone just made a horrible trailer, but I’m very nervous that there’s more to why this movie feels so wrong. For a natural experience that is older than modern, upright homo sapiens and is shared among countless species of mammal across the globe, breastfeeding carries a stigma around inside the borders of our society that is as nonsensical as it is undeniable. Whether it occurs at the hospital after birth, at work in a dark room, at a restaurant table, or at home lying comfortably on a bed, breastfeeding is constantly under judgement and scrutiny. Women are told how to feel about it, men are taught to look away from it, strangers become entitled to share their opinions on it, and the entire activity becomes a complicated social issue when at its core nothing could be more simple. 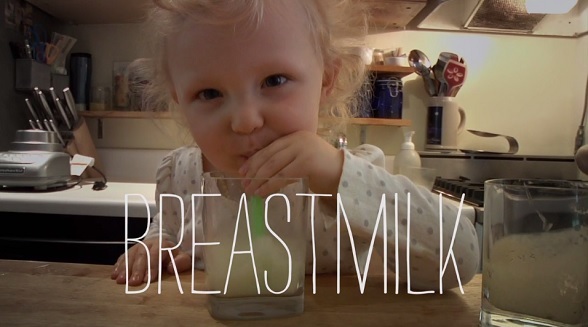 Breastmilk is a documentary that explores what it is like to be an American mother weighing the options surrounding breastfeeding, and how our culture has shaped our perception 0f this most basic practice. Each mother who prepares for the birth of her child, and each partner who prepares to become a parent, is faced with a barrage of choices: which stroller is best, how much time will I take off work, who will watch the baby when I am busy, do I want a natural childbirth, which toys are safe, what should I name the baby? And in our modern world, breastfeeding has become just another in a long line of worries. Mothers must decide whether to exclusively nurse their child, whether to nurse and supplement with formula, or whether to choose formula feeding entirely. Occasionally these decisions are made for them by medical/health situations, but often the choice is their own. Some mothers will be at work, some fathers will be uncomfortable, and so the natural process of breastfeeding becomes a debatable issue, one that hinges on personal preference and ability. Over the course of this simple documentary, we meet both average parents and experienced specialists who all view breastfeeding from their own points of view. A new mom produces so much milk that she stores it in the freezer, donating it to a couple who wants to feed it to their adopted baby. A biologist couple want to exclusively breastfeed, but her milk supply is low and the baby’s tongue is attached to its mouth in a way that hinders feeding. A lesbian couple breastfeed in turn, and don’t accept the negative viewpoint of those who may think their lifestyle is strange. A librarian pumps at work in a private office, but doesn’t understand why even a school for children has such an outdated stance of motherhood. These are just some of the stories we hear over the course of 90 minutes, just a sample of the myriad of parents who deal with the complications of breastfeeding every day. One specialist sums it up best when she talks about the pressure put on women when it comes to their breast milk; every drop is scared, it’s liquid gold, pump every ounce you can, make sure you have enough to satisfy your child, take whatever dietary supplements you need. While she agrees that breastfeeding is natural and wonderful, she questions the amount of importance we place on it, in an evolutionary sense. If one woman in a village didn’t have enough milk, another would feed her child, milk isn’t a rare commodity, it’s as basic a human function as you can imagine. This is just one viewpoint shared in the documentary, but it captures the general feel of the film; that our society has put so many boundaries on breastfeeding that it has lost its simplicity. A mother nursing her child isn’t newsworthy, at its most basic, and yet we form battle lines around the issue as if it were a problem to be solved. The movie is made simply, without the intrusion of a narrator or even an interviewer; the stories tell themselves. We sit and watch a variety of women feed their children and talk about their personal experiences; what they feared, how they see their role, in what ways societal pressure has influenced them as mothers. More an in-class perspective piece and less a theatrical film, Breastmilk nevertheless has a powerful message to convey; that women from a multitude of backgrounds all face the same adversity in balancing modern living with the evolutionary urge to give of themselves to their children, that our own predispositions to the subject affect how we face it. At its core, this film is frank talk about a subject that is increasing in relevance in response to the neofeminist movement; women want equality but they also want to be feminine, putting breastfeeding at the center of the conversation and making documentaries like this ultra-important. Video – With an aspect ratio of 1.78:1 (16×9), the video quality of this film will not impress anyone. But that’s not the point, it’s obviously not important to the filmmaker if we are stunned by visuals, the interviews are the main attraction and they speak for themselves. Audio – Done in English 2.0 Stereo, the audio isn’t much better, but again, it doesn’t need to be. There are no other language or sound options, so look elsewhere for technical marvels. Recommended. There’s no need to go into the details of my own story, but I am a stay-at-home father whose children were breast fed. Where once I was a young man who was made uncomfortable by the very idea of breastfeeding, that feeling swiftly fled as my wife, a couple classes, and my own babies taught me the value of nursing, and how normal it can feel. This topic is an important one only in the sense that we have made it much bigger than it needs to be, have built it up as an arguable stance, when breastfeeding is older than humanity and should be something we take for granted, like breathing or chewing or scratching an itch. This film brings up the problems that breastfeeding faces in the modern world, and for that should be something shown in parenting classes and school rooms across the country; I think it could absolutely do some good. The technical side of the movie will not impress, but I don’t really view it as a film to be judged against other films. I see it as a conversation being started because sometimes conversations are hard to start, and this is one we shouldn’t ignore. 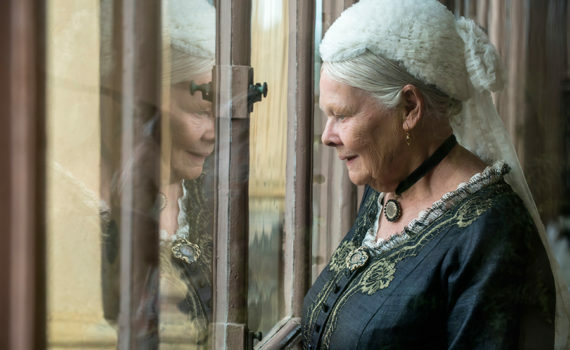 I trust this director with this type of film, and I trust Dench in most anything as well. It actually looks like they will somehow manage to maneuver the well-trodden path that leads to the giant cheese ball of sappy dramatics, instead making a drama about a friendship between two very different people actually …good. Toni Erdmann had some stiff competition last year for Best Foreign Film at the Oscars, and ultimately lost out to The Salesman, a film that got the right buzz at the right time, with its director staying out of the country for fear of the newly-written Muslim Ban’s effects on his safety. And aside from that, A Man Called Ove was one of my favorite movies of the year, foreign or otherwise, so it was a stacked Top 5 for Academy voters. Erdmann actually won my critics group’s awards, with The Handmaiden coming in second, a film that wasn’t even up for an Oscar but was also one of my 5-star favorites of the year. So you can see that it was a difficult year for a German drama to get a ton of attention, but that does not mean attention wasn’t warranted, and in this film’s case, our applause is deserved as well. Winfried Conradi is a lonely old man. He lives in Germany with his blind dog, visits his mother from time to time, has the occasional dinner with his ex, teaches piano lessons, runs the school music program, and misses his only daughter, Ines, who is much too busy with her high-stress job to call much more often than on birthdays. Winfried, it should be noted, is a practical joker, but in a sad clown way that makes his despondency all the more heart-breaking. He wears wigs, has false teeth that he always keeps in his breast pocket, and has been known to create false personas just for fun. On a whim, and in order to check up on a daughter who he suspects is not as happy as she lets on, our somber hero takes a vacation to Romania where he then pretends to be Herr Erdmann, life coach extraordinaire. His visit wrecks Ines’ structured existence and threatens her occupation, but it also reminds her of those intangible things that are so much more important. The most impressive quality of this film is how it fends off the typical, Hollywood portrayal of this story. I hear an American version is in the works, but this German version is what we need more of; a movie that isn’t afraid to dull down the melodrama, to show a father & daughter in a realistic way that is slower than we are used to but can be all the more honest. An American drama would happen much quicker, would contain many more explosive arguments, and would ultimately feel less authentic, so don’t be so ready to watch the Hollywood take on this story. The movie is long, perhaps too long, and the few amazing scenes come near the end, so audiences will have to put in some work to be rewarded. But good things come to those who wait, or so they say, and in this case it happens to be true. 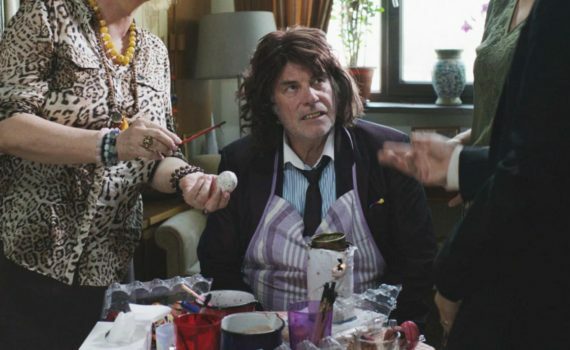 Toni Erdmann is a unique, sad, slow, quirky, oddly refreshing film that works if you give it a chance and some time to simmer. 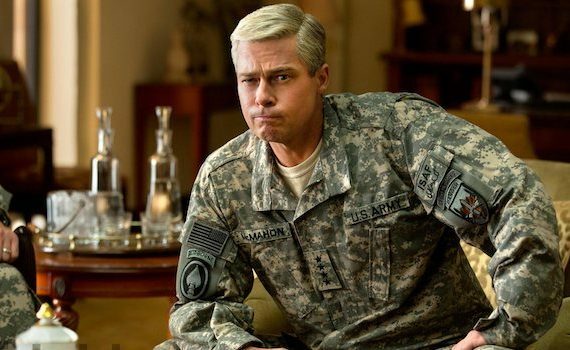 A mix between Burn After Reading and The Big Short, Netflix’ newest attempt at becoming a legitimate film studio is its best yet. War Machine is a mix of funny and depressing that works, at least for those who live their lives in a constant state of cynical funk. Count me in that group, and I can’t imagine that there are too many people in our current world/culture/country/society who feel completely optimistic and peppy. Netflix succeeded with original shows, they have been dabbling in original movies, but this is their first large-level success, with a huge star and a great result. War Machine is good enough for theatres, good enough to recommend, and good enough for you to devote some time. War; what is it good for? Some would say absolutely nothin’, but not General Glen McMahon. Big Glen, as he is affectionately known, loves war, and is absolutely wonderful at it. He succeeded in Iraq where America was bogged down in an insurgency, and now his specific skills are needed in Afghanistan, where a war wages on against a ghost-like enemy. Glen will win it at any cost and doesn’t know the word ‘lose’, even if he gets no help from the local government or even from his own President. His unique style of commanding might not be for everyone, but the Glenimal gets the job done, and all his adoring soldiers say “Oorah!” to that. The only thing standing in his way is actually finding the enemy, a detail that definitely won’t stop this rampaging war daddy. Under the comedy, which is rich, there are volumes being said; about our government, our wars, the men who lead them, and the pointlessness of a negative experience that you learn nothing from. This seems to be a bipartisan issue to me, but maybe I’m naive; that these wars in these countries led by these people are as fucked up as can be imagined, that there’s no such thing as winning in modern terror warfare, and that you’d have to be crazy to try. Pitt plays crazy perfectly, and his comedic timing in this film is excellent. The funny is mostly at the beginning, much of the middle is just sad, but ultimately this is a comedy with a lot of serious things to say. 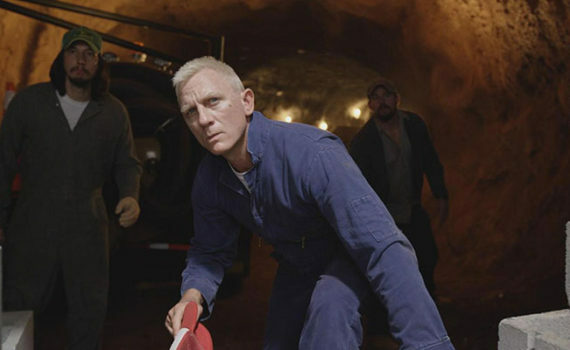 The cast impressed me, an ensemble like you rarely see: Pitt, Hall, Magaro, Emory Cohen, Topher Grace, Alan Ruck, Will Poulter, Ben Kingsley, Meg Tilly, Scoot McNairy as the narrator. It’s an ambitious film, but definitely a strong showing for Netflix, and an enjoyable piece of dark comedy that I would watch again. I hate to say it, but this looks like your typical, French, dramatic, romantic, tragic love story, and I’m not sure what is being offered that’s at all new. 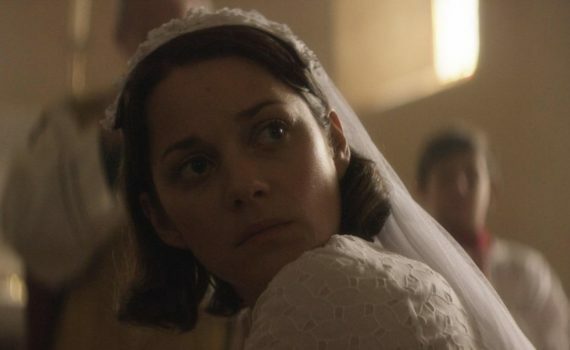 I love Cotillard, she’s amazing, and we’re so spoiled to seeing her in American films that it’s nice to see her in her native language. But I don’t think that’s enough, and I don’t think I’ll go out of my way to see this. 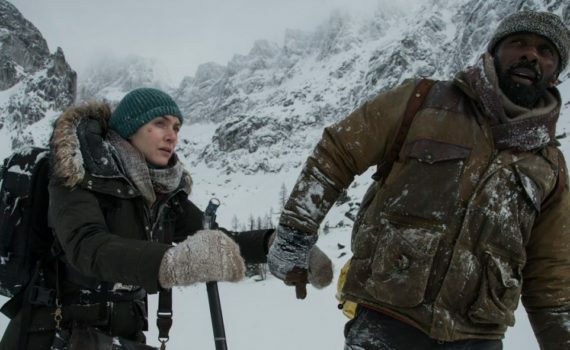 I’m torn, because if Sheridan can write Sicario and Hell or High Water, two phenomenal films, then I should trust that he can write Wind River, that it will be just as strong and raw and wonderful. But he’s not a director, and perhaps his teaming up with the right filmmaker in those other movies is what made them special. Also, Elizabeth Olsen is no Emily Blunt and won’t be able to pull off the same badass role. 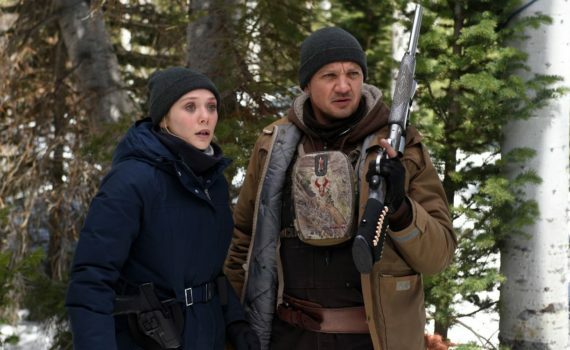 Renner, he’s cool, but do I believe him as a wilderness hunter and as someone who can pull off the sentence, “I kill predators”? I’m really skeptical that this film will turn out as good as I want it to, but I’m also willing to give it a fair chance.